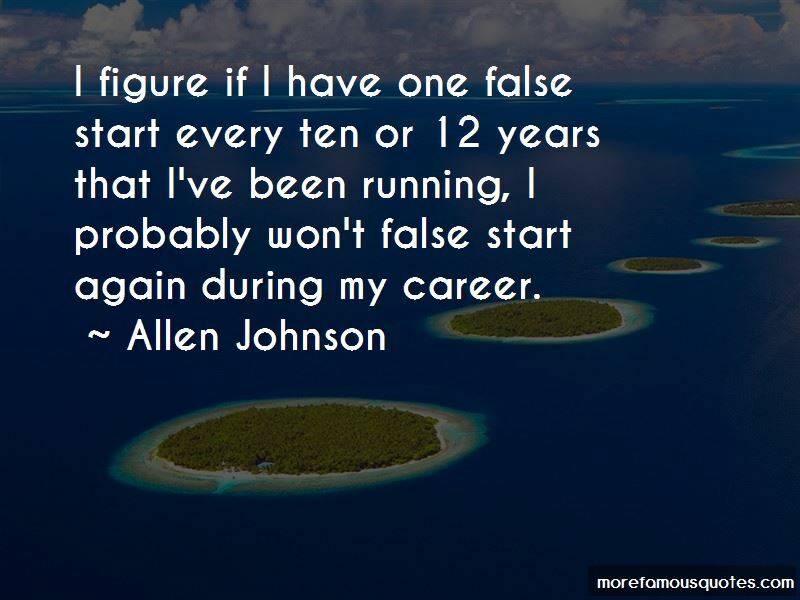 Enjoy the top 11 famous quotes, sayings and quotations by Allen Johnson. 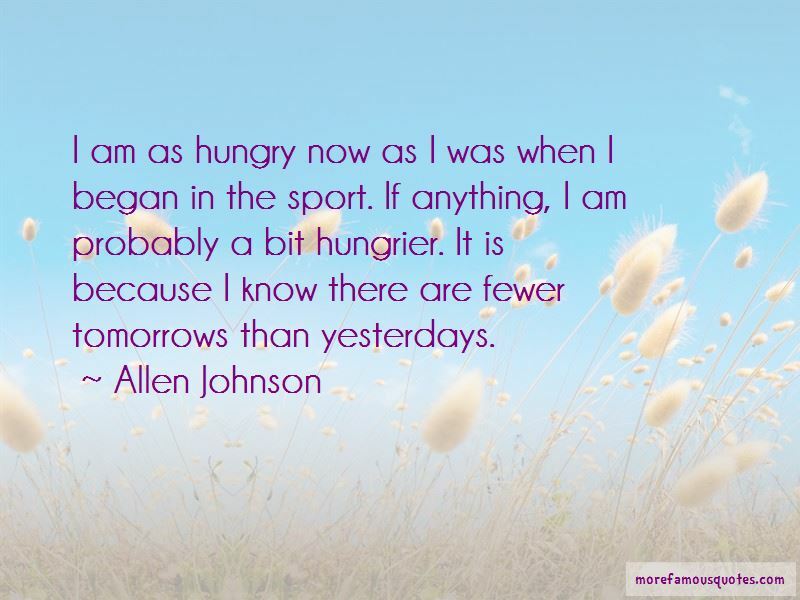 I am as hungry now as I was when I began in the sport. If anything, I am probably a bit hungrier. It is because I know there are fewer tomorrows than yesterdays. I figure if I have one false start every ten or 12 years that I've been running, I probably won't false start again during my career. His unit is in charge of 5,000 homes, and they've only been able to search about 2 percent of them. People are standing on roofs or sticking their hands out of air vents so they can get rescued. It's about stepping up on the big stage. The athlete who can do that is goig to do well. We want to live a simple life, ... I want to emphasize I'm not an environmentalist who goes to church. I want my principal identity as a Christian to be someone who follows Jesus. I want to work for peace and justice, care for God's environment, be a good neighbor and friend and live the right life. 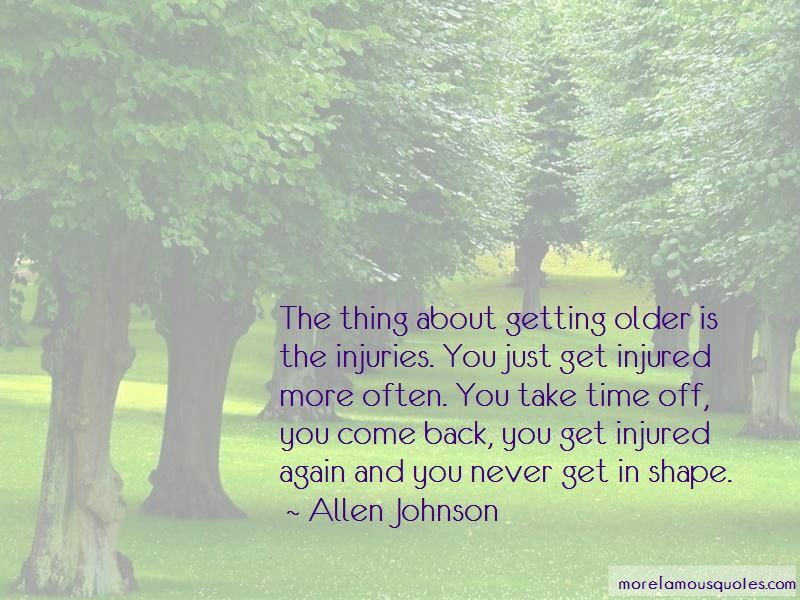 Want to see more pictures of Allen Johnson quotes? 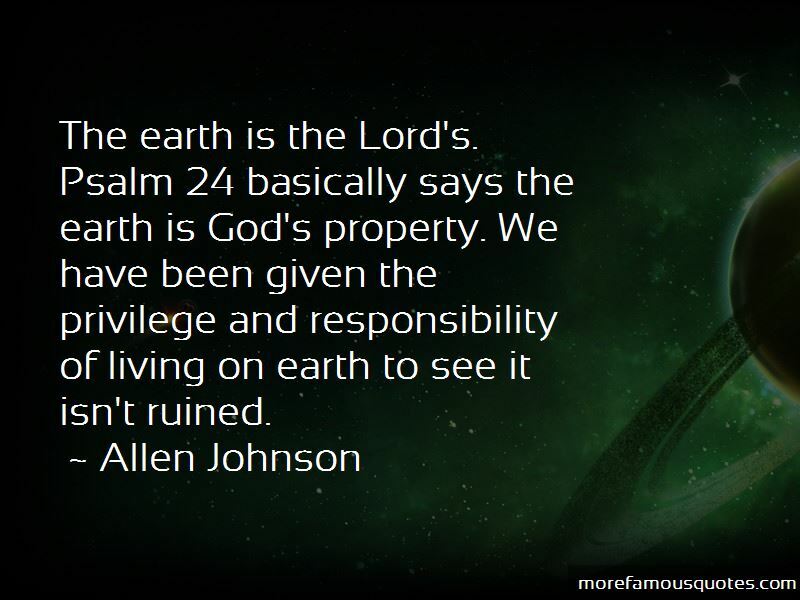 Click on image of Allen Johnson quotes to view full size.